In 2010, the Federal Communications Commission adopted new technical rules to permit FM stations to voluntarily increase hybrid digital power levels from -20dBc to -14dBc for most stations, and set a system to allow some stations to achieve up to -10dBc. Since that date, many stations have updated their transmission facilities to take advantage of the power increase. This presentation discusses field observations of elevated FM HD power levels on select stations and, in particular, in how they relate to the significant improvement in overall digital performance in the OEM automotive environment. Most automotive manufacturers are including HD Radio in many of their latest vehicles. Because of the increasing receiver base for HD Radio, and the growing importance of data delivery via HD Radio (Artist Experience, traffic data, etc), this presents some of the tangible benefits of elevated digital power, as well as some of the shortcomings to help engineers better understand digital radio coverage and performance at various power levels. Alan Jurison started hius career in broadcasting at age 15 with Pilot Communications in Syracuse, NY. During this time, he developed the technical aspects of the industry’s first remote voice-tracking for stations in distant cities which is now commonplace in the industry. He graduated with a B.S. in Information Management and Technology from Syracuse University and was promoted to regional information systems manager and broadcast engineer for Citadel Broadcasting. For 11 years, he led many IT and engineering projects companywide. In January 2012, Jurison joined Clear Channel Media and Entertainment as a senior operations engineer for the corporate Engineering and Systems Integration group. Much of his focus has been on deploying and advancing Clear Channel’s digital HD Radio data services. Jurison is a member of the Society of Broadcast Engineers (SBE) and holds several certifications, including Certified Senior Radio Engineer (CSRE), AM Directional Specialist (AMD), and Digital Radio Broadcast (DRB), Certified Broadcast Networking Engineer (CBNE). He has been in the radio industry for more than 20 years and offers a unique prospective on the convergence of IT and Broadcast Engineering. The Broadcast Infrastructure Cybersecurity series, like all new SBE webinars presented in 2019, are included at no additional cost for members who renew or join using the $175 SBE MemberPlus membership option. 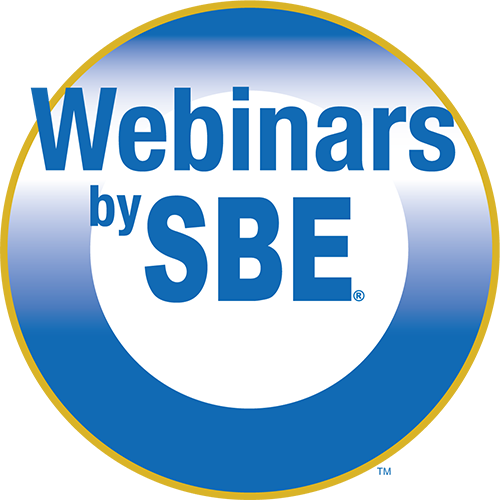 You get all four Cybersecurity modules, plus access to all archived SBE webinars and any new live webinars SBE presents through March 31, 2019, all for no extra cost. Members can renew and newcomers may join online at the SBE website using the SBE MemberPlus option.